Chinas rise over the past several decades has lifted more than half of its population out of poverty and reshaped the global economy. What has caused this dramatic transformation? In Chinas Great Migration: How the Poor Built a Prosperous Nation, author Bradley Gardner looks at one of the most important but least discussed forces pushing Chinas economic development: the migration of more than 260 million people from their birthplaces to Chinas most economically vibrant cities. 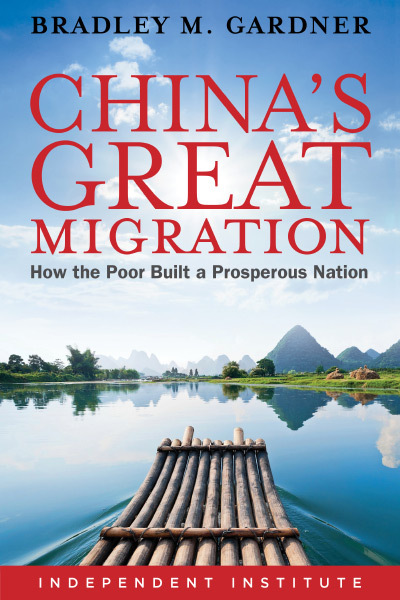 By combining an analysis of Chinas political economy with current scholarship on the role of migration in economic development, Chinas Great Migration shows how the largest economic migration in the history of the world has led to a bottom-up transformation of China. Gardner draws from his experience as a researcher and journalist working in China to investigate why people chose to migrate and the social and political consequences of their decisions. In the aftermath of China's Cultural Revolution, the collapse of totalitarian government control allowed millions of people to skirt migration restrictions and move to Chinas growing cities, where they offered a massive pool of labor that propelled industrial development, foreign investment, and urbanization. Struggling to respond to the demands of these migrants, the Chinese government loosened its grip on the economy, strengthening property rights and allowing migrants to employ themselves and each other, spurring the Chinese economic miracle. More than simply a narrative of economic progress, Chinas Great Migration tells the human story of Chinas transformation, featuring interviews with the men and women whose way of life has been remade. In its pages, readers will learn about the rebirth of a country and millions of lives changed, hear what migration can tell us about the future of China, and discover what Chinas development can teach the rest of the world about the role of market liberalization and economic migration in fighting poverty and creating prosperity. What Is Chinas Development Strategy? A Human Story. Chinas Great Migration is the story of 260 million people who have worked hard, taken risks, and challenged the status quo in order to escape poverty and build a better life for themselves and their families. Several of their stories are told within. Chinas economic surge over the past thirty years is a story of mass migrationthe largest migration in human historyas more than 260 million people left the countryside in search of urban jobs. More than 20 percent of Chinas GDP growth has come directly from the transfer of workers from agriculture to industry. The most conservative estimates suggest that migration within China added $1.1 trillion to the global economy over twenty years. The indirect impact of this mass migration may be even more substantial. Chinas economic progress reinforces the findings of recent research on the importance of migration for economic development. This growing body of research finds that migration barriers are by far the largest remaining obstacles to economic activity in the global economy, with their impact felt mostly by the poor. Chinas experience during the Great Migration substantiates these findings and illustrates some of the difficulties faced when developing a pro-migrant economic policy. Chinas Great Migration wasnt a product of state-led reform. Many of the nations most important economic reforms were, in fact, forced on policymakers by changes to the structure of Chinas economy brought about because people were willing to disobey laws against migration and private employment. Chinas experience with tax reform, social services reform, and urban infrastructure development suggest a number of lessons that could help countries to capture the benefits of migration with less of the costs. Understanding the role of migration in Chinas economy is essential to make sense of Chinas export machine. As private enterprise began to flourish, the Chinese government used its control of the financial sector to redirect capital toward failing state-owned enterprises. Faced with an abundance of labor and lack of capital, the private firms came to depend on cluster effectsmutual benefits that arise when firms in the same industry locate in close proximity to each other. Chinas uniquely dense labor pool and limited capital help explain why China rapidly dominated industries with a low-cost to entry and a demand for flexibilitylike textiles, plastics, and electronics assemblybut could not compete in sectors that demanded investment in R&D or branding. Understanding the role of migration in Chinas economic growth is crucial for understanding Chinas future. Chinas Great Migration peaked in 2007 and will continue to slow until the mid-2020s, when the urbanization rate is expected to reach equilibrium. China will enter this new phase of its growth story with some advantages: dense urban clusters, established trade networks, and one of the largest industrial economies in the world. But it will also have extreme disadvantages: the dominance of lumbering state-owned enterprises, an inefficient state-owned financial sector, and a sprawling unchecked one-party state. If China cannot transition from an economy based on the mobilization of labor to an economy based on the efficient utilization of capital, its economic growth will grind to a halt. From 1981 to 2011, the Peoples Republic of China saw profound change as 753 million of its citizens rose out of poverty. Today, hundreds of millions of Chinese people enjoy opportunities they would have been denied a generation agoopportunities to invest in themselves and improve the lives of their families.The causes of Chinas rise are a matter of debate. Was it a victory of the free market? If so, how should we account for the continuing strong role of the state in Chinas economy? Is China a role model for other developing countriesor a Potemkin village on the verge of collapse? In Chinas Great Migration: How the Poor Built a Prosperous Nation, Bradley M. Gardner reveals one of the strongest but least understood forces driving the Chinese economic miracle: the mass migration of more than 260 million people to urban areas in search of better jobs and opportunities. Contrary to top-down analyses of China that put the state front and center, Chinas Great Migration shows that poor Chinese people migrated despite substantial legal restrictions, often at great personal risk, and in doing so not only boosted economic growth directly, but also pushed the government to enact reforms that further helped lift many people out of poverty. More than just a retelling of one nations spectacular growth story, Chinas Great Migration provides a case study about the enormous power of free and open labor markets, one that offers vital lessons for both developed and developing countries: Economic migrants are not a burden to be demonized, but a resource that raises living standards for both newcomers and non-migrants, especially when policymakers embrace measures that capture the benefits of migration for their economy and their people. Central to the story of Chinas Great Migration are four ongoing policy reforms and their interaction with migrant workers: rural land reform, hukou reform, private enterprise reform, and tax reform. Prior to its Great Migration, China dealt with unemployment and underemployment by increasing the labor density on collective farms. In the early 1980s, however, rural land reforms allowed fields to be tended with fewer workers, creating a pool of excess labor that sought work outside the farm. These workers became a political liability for the Chinese government, which lacked the resources to employ them through state-owned enterprises, provide them with social services, or stop them from looking for jobs elsewhere. Over the next thirty years, the government would explicitly tie rural land reforms to the countrys progress on urbanization, a process that continues today. Chinas household registration system, or hukou, assigns Chinese citizens a residence at birth, based on the residence of their mother. Starting in 1960, this system was used explicitly to bar migration between rural areas and cities, and between cities in different regions. The hukou system was enforced through a variety of mechanisms, including the blocking of eligibility for social services outside the migrants home areas, selective bans on working and purchasing food in urban areas, and threats of arbitrary arrest and fines. During the reform period, these barriers slowly broke down as the benefits associated with disobeying hukou laws surpassed the costs. But not until 2003, when a migrant was murdered while in police custody, did the government allow migrant workers to freely move about the country without fear of arrest. Some social services still remain tied to a persons hukou, making migrants effectively second-class citizens in their adopted cities. The need to create jobs for the pool of migrant labor inspired major economic reforms. When youth whom the government had earlier forced to move to the countryside for class education later returned to the cities, China legalized self-employment to take pressure off of overburdened state-owned enterprises (SOEs). As Chinas Great Migration picked up, these small businesses expanded while their state-owned rivals collapsed. Competition from private enterprise forced the government to embrace a more liberal labor market, which resulted in the state sector laying off more than 40 million people from 1997 to 2004. The companies that remained began to hire and fire workers at a rate similar to the private sector, a process that increased the overall efficiency of state-owned enterprises and pushed more workers into the private sector. The collapse of SOEs undermined Chinas Mao-era taxation system. After numerous piecemeal reforms, the government overhauled its entire tax code in 1994 in ways that created specific incentives for urbanization and reduced the costs associated with migrating. Tax reform, however, had substantial negative effects that China still wrestles with today, with consequences for migrants, farmers, and Chinas overall economy. These effects include the heavy use of land expropriation to cover local government budgets, and rising government deficits. By any standards the growth spurred by Chinas Great Migration has been enormous. Economists estimate that labor reallocationthe transfer of workers from agriculture to industryaccounted for more than 20 percent of Chinas GDP growth from 1990 to 2010, a period when the Chinese economy grew from $400 billion to $6 trillion. In other words, simply allowing Chinese people to move to cities where they could find factory jobs added $1.1 trillion to the nations economy over twenty yearsgrowth equivalent to an economy roughly the size of Mexico. Labor reallocation is only one spoke in the wheel that turned China into an economic powerhouse. Once migrants move to the city they help create cluster effects that improve the local business climate. Migrant workers learn new job skills, compete for jobs, and share information. Their farmland is redistributed to the workers who stay behind, increasing the productivity in the countryside. Although the economic gains from these factors are harder to measure than the gains from labor reallocation, they are likely just as substantial, if not more so. Chinas Great Migration peaked in 2007 and will continue to slow until the mid-2020s, when the nations urbanization rate is expected to reach equilibrium. China will enter this new phase of its growth story with some advantagesdense urban clusters, established trade networks, a growing consumer class, and one of the largest industrial economies in the world. It will also have some extreme disadvantages. Chinas economy still labors under its lumbering state-owned enterprises, an inefficient state-owned financial sector, and a sprawling unchecked one-party state. If China cannot transition from an economy based on labor mobilization to an economy based on the efficient capital utilization, then growth will slow to a standstill. Will China navigate the transition successfully? The obstacles that lie ahead differ significantly from the challenges it has already met. Completing the reforms that facilitated the Great Migration will require contending with entrenched political actors and institutional inertia. There is also a risk that policymakers will learn the wrong lesson from Chinas slowdown. Even if China gets caught in a middle-income trap, Chinese people today are exponentially better off than they were thirty years ago. China achieved this success despite poor financial and fiscal management and a lukewarm commitment to the free market. Instead, the centerpiece of its development policy was aggressiveand remarkably successfullabor market liberalization, a policy treated with suspicion even in the developed world. Unfortunately, development professionals typically hesitate to embrace migration as a tool in the fight against poverty, and often they believe the best course of action is to ignore or deny the incredible economic gains associated with the free movement of people. But migrations tremendous potential should not be neglected. For the average Chinese and the average American, the most effective step toward increasing household income is to relocate to the city. For many people in India, Africa, and Latin America, such a move is difficult due to anti-migrant and anti-urbanization policies adopted by their governments. Chinas Great Migration ends by outlining five areas for reform that developing and developed countries could adopt in order to better capture the economic benefits of migration. In each case Chinas experience provides lessonsboth positive and negativeshowing the impact of these reforms, their pitfalls, as well as best and worst practices for reformers. Strengthen rural land rights: Chinas experience shows both the value that rural workers place on their land as an income of last resort, and the problems they face if they are unable to lease or sell the land when migrating. Balancing these two demands requires that government ensure strong land rights. Ease restrictions on hiring and startups: China has benefitted enormously from the interaction between migrant workers and the large pool of small- and medium-sized enterprises competing for their labor. Competition within and between firms has improved efficiency and helped workers capture a larger share of the economic gains. Because starting a business in China is relatively easy, Chinese workers are often better off than workers in countries with large state champions and strong unions. Improve infrastructure construction: In most countries, the biggest restriction on migration is basic infrastructure: housing, roads, public transport, hospitals, and schools. Chinas tax incentives for urban construction, while flawed in many ways, have spurred migration in ways that have greatly benefited Chinas poor. Make basic social services more sustainable: Chinas Great migration has strained social services to the point of collapse. While migrants often find it valuable to migrate even if the government does not provide social services, locals often protest the strain migrants place on social services. China has recently started experimenting with pre-paid social services, which could solve this problem. Lift direct barriers to migration: Migration, and particularly mass migration, can create major challenges when a countrys infrastructure, social services, and labor market are unprepared for the influx. While many people see legal barriers to immigration as a reasonable means for dealing with such challenges, the number of migrants allowable in one given year is often arbitrary and severely undervalues migrants. Reforming migration laws to allow more immigrants would encourage policymakers to adapt to a growing population and enable the economy to capture more of the economic benefits. The five reforms above helped China move 753 million people out of poverty despite strict state control of the economy. Lifting barriers to migration added more than $1 trillion to the Chinese economy. Other nations should pay attention. In Chinas Great Migration, Bradley Gardner has written an outstanding book that shows how China's internal migration into the relatively freer cities fueled much of China's growth and led to a massive reduction in poverty. All people who are serious about understanding how migration can create prosperity need to read Gardner's excellent book!" "Bradley M. Gardner's Chinas Great Migration: How the Poor Built a Prosperous Nation is a good introduction to what the title promises." 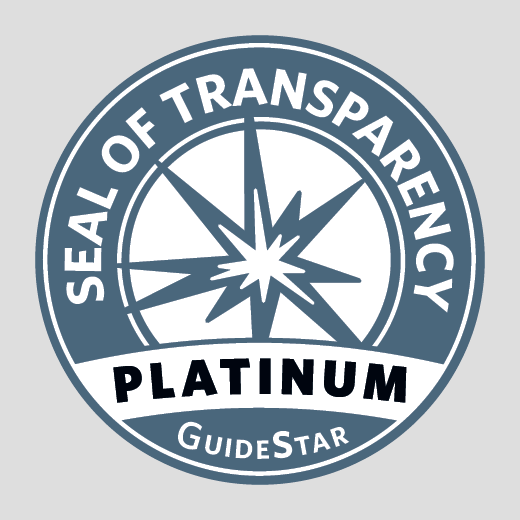 2018 IPPY Gold Medal for Best Book in Current Events (Political/Economic/Foreign Affairs): Awarded by The Jenkins Group and Independent Publisher.